Anna Louise May was born on August 24, 1929, in Bixby, Oklahoma, where she was known to her family and friends simply as "Louise." Since her teenage years Louise knew that accounting was in her future. She moved to Medford from a small town in Missouri, and even though her parents didn't have much money, they found ways to pay for her college education. 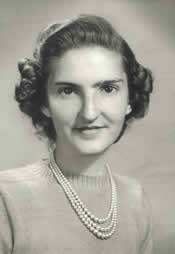 In 1946 she began her college education at Southern Oregon College. 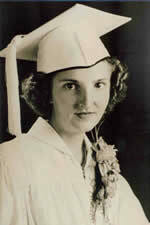 She transferred to the University of Oregon and in 1950 graduated with a BA. Even though Louise graduated with the 600 GIs returning from WWII, Yergen and Meyer hired her right out of college and she began her accounting career as Anna May. Starting as a secretary and later earning her CPA, Anna May worked with manager Ronald Holzkamp for over 27 years until opening her own practice. She continued in this practice for 20 years and was known for her passion, commitment and dedication. Anna May deeply appreciated the support of her parents as she worked to achieve her dreams and, in turn, she was drawn to help others. 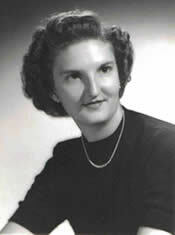 In 1984 Anna May began awarding scholarships to junior and senior accounting students. She will always be remembered for her dedication to excellence and for helping others to achieve their own goals. Louise loved the color "pink" and even named her dog Pinkie. As you can see in the photos, she loved to wear pearls. Her favorite flower was the Magnolia. Louise had only one other sibling, a brother named Stanley. She was extremely devoted to her mother and lived with her until her death. She was a generous aunt and sister-in-law and loved her family to visit her in Oregon. Louise was a gracious hostess and loved to entertain. Her family remembers that when they visited her she would always take them to the Oregon coast and to Crater Lake. She loved being an accountant and was very dedicated to her clients and her profession. Ginger Rogers was once one of Louise's clients. Louise was highly respected among her professional peers and received numerous awards and gifts of appreciation. She loved to go to parties and entertain out-of-town guests. She was very frugal with her finances. Louise was always concerned with her appearance and liked to wear nice clothes and jewelry. Her family was very proud of her and all that she accomplished. She was very dependable and trustworthy. Louise loved the annual vacation that she would take with her parents. They once attended Mardi Gras together. She could be considered a "pioneer" in women's rights. When she decided to go to college and become an accountant she encountered resistance from her parents and friends. She wanted to make sure that other women did not encounter the same resistance. Needless to say, Louise was a strong believer in the value of an education. Louise loved the state of Oregon and lived there for over 40 years. 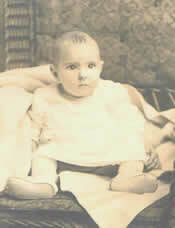 She passed away on May 14, 2000, in Medford after establishing the Anna May Family Foundation.